Stories of those who resettled after WWII also sought. A display about the Hirahara family, who have lived in Anaheim since 1955. ANAHEIM — The City of Anaheim Public Library’s Heritage Center is undertaking a new project in commemoration of the 75th anniversary of the signing of Executive Order 9066 by President Franklin Delano Roosevelt on Feb. 19, 1942, which put 120,000 Japanese and Japanese Americans into incarceration camps during World War II. In the early 1900s, many Japanese American families settled in Anaheim, establishing farms and businesses. Their children attended local elementary schools and then went to Anaheim High School. In 1942, these families were relocated to the Poston Relocation Center in Arizona, and were incarcerated there until the end of the war in 1945. The city is interested in gathering the stories of these Anaheim families and their experiences before, during, and after their incarceration. Another aspect of the story that Anaheim is interested in capturing is of the Japanese Americans who were sent to one of the other nine War Relocation Authority camps or participated in voluntary resettlement, but chose Anaheim as their new home following their release. The city was the center of Japanese American commerce for many years after the war and is still the site of the Anaheim Free Methodist Church and the Orange County Buddhist Church. Not much has been done to tell these stories of the Anaheim families incarcerated in Poston and the Anaheim Public Library is hoping to incorporate these family profiles into a future exhibition at the Anaheim Muzeo Museum and Cultural Center. 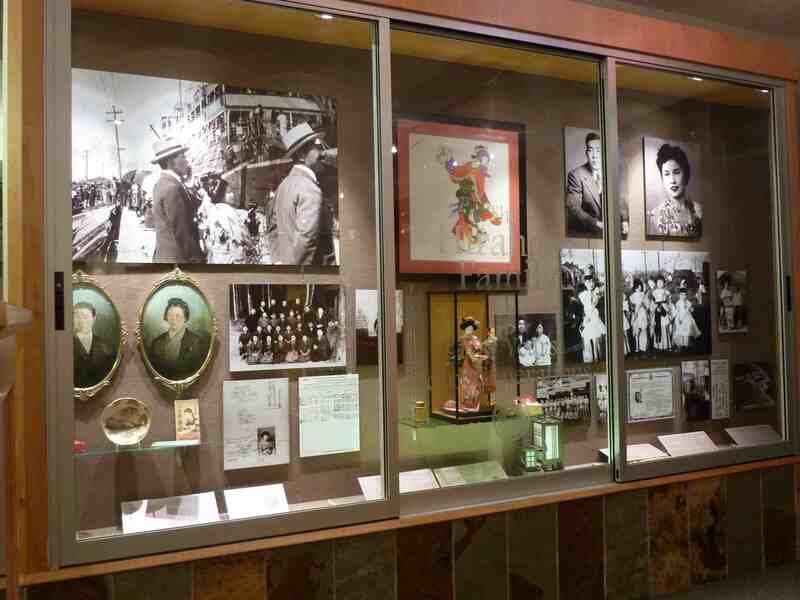 In 2009, Anaheim had its first “Museum Without Walls” exhibit featuring the history of the Frank C. Hirahara family, who relocated to Anaheim in 1955. The family’s 108-year history in America has been a model of diversity for the city and has raised awareness about what happened to American-born citizens of Japanese ancestry during World War II. For those families wishing to participate, the questionnaire can be found at http://anaheim.net/2626/Hirahara-Family-Photo-Collection/questionnaire or by calling the City’s Heritage Center at (714) 765-6453 for further information.